The Early Years Collaborative (EYC) launched in January 2013 as a way to bring “improvement science” to community development work. Changes are made at a small scale initially (single member of staff, single patient or client), tested, progress plotted regularly, and successful approaches rolled out after testing in a range of circumstances. Healthy Start, a UK-wide food and vitamins scheme for families on low incomes seemed like a suitable area for attention. 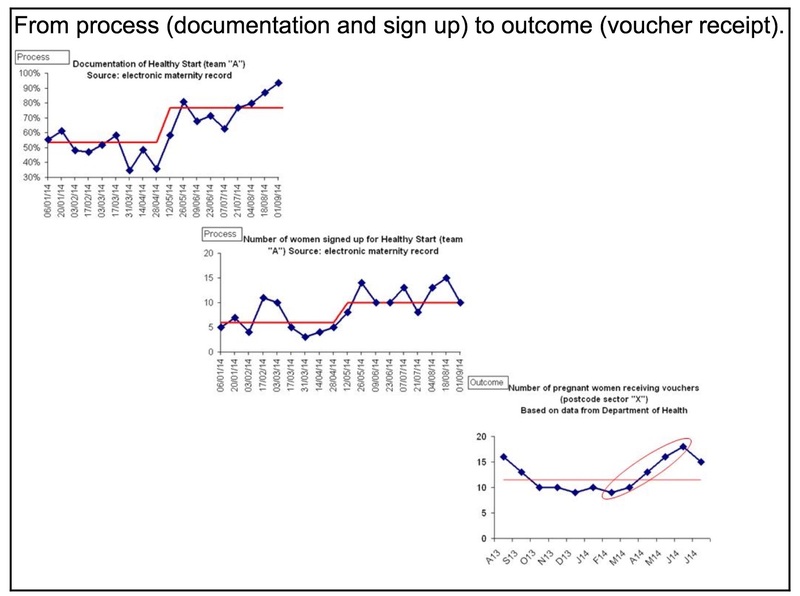 We knew that a quarter of families eligible for Healthy Start were not signed up for vouchers, and those that were eligible often experienced delays in signing up or missed vouchers at key points. We also knew that the number of families receiving vouchers was falling at a national level, despite clear evidence of increasing child poverty. The Leith EYC Pioneer Site started in March 2014. Rather than the usual approach of sending out a leaflet to all patients, or providing all staff training, we focused on the experience of one midwife signing a pregnant woman up for the vouchers. This midwife identified and removed key obstacles: some women were only signed up following ultrasound to prove pregnancy (not necessary), and the midwife was able to sign the application form at the booking visit, before the woman had completed her section of the form. A parent support worker helped families to call the centralised help line once the baby was born (otherwise the vouchers stop coming for weeks or months) and shared this information with local midwives. Midwives followed up women at the 16 week antenatal visit and identified that half were struggling to complete their part of the application form, so we linked in literacy and parent support workers. Run charts and control charts showed real and sustained change in process and outcome measures. supported an additional 50 pregnant women across Lothian to access vouchers (an increase of 17% from March 2014). We can identify changes that led to these improvements and share successes with these and other teams. Work that started with a single midwife in March 2014 had been shared with colleagues across the country and at three national meetings by the start of June 2014. The speed of improvement, and genuine interest was exhilarating. The next stage of this work started in February 2015. 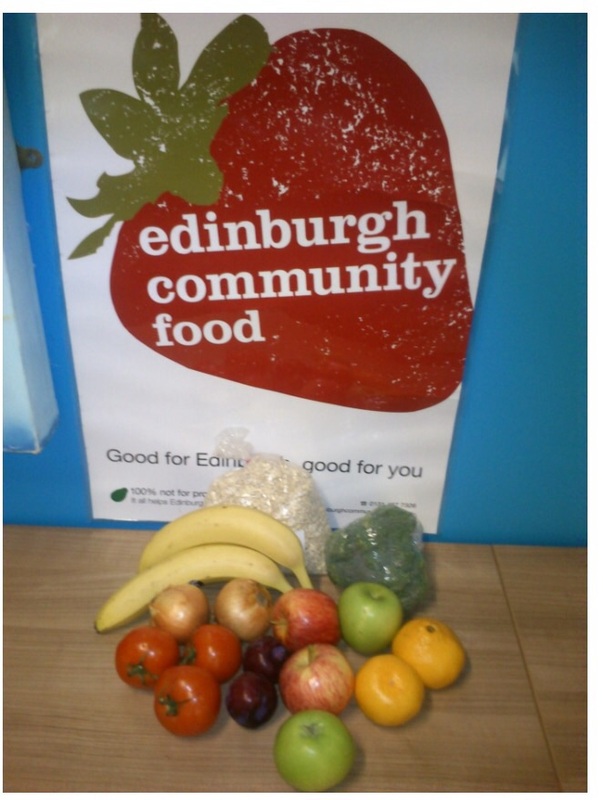 We have established a partnership with Granton Information Centre, a nursery, an Early Years Centre, midwives, health visitors, a family therapy centre and Edinburgh Community Food to help low income families access wider welfare rights advice. Women and families with money worries are being referred to Granton Information Centre, and following referral we will provide the detailed support that these agencies can offer. We are, again, planning and recording progress using improvement science. This work is funded by the Scottish Legal Aid Board until October 2016. Further information and the most up to date data are available on the #GetHealthyStart Facebook page and this film provides more. We are in the process of translating this film (with subtitles) for Polish families, promoting this with the large number of Polish families in Leith. Graham MacKenzie is a Consultant in Public Health in NHS Lothian. This entry was posted in Uncategorized and tagged Healthy Start programme, improvement science. Bookmark the permalink.